Oh, I love Philippa Gregory and the Plantagenets. One of my favorite historical periods is the intrigue leading up to the Tudor Dynasty. I liked the Other Boelyn Girl very much. I love Phillipa Gregory’s Tudor novels. I find her take on the tales to be rich and refreshing. My personal favorite is The Queens Fool. It struck such a chord with me that it appeared on the summer reading list last year for the high school at which I teach. great review, now i’m even more excited to read The White Queen! 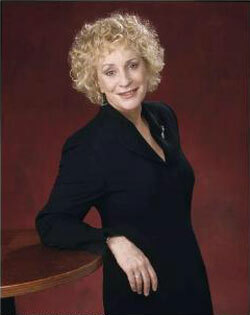 My favorite book by Ms. Gregory is a tie between Wideacre and The Other Boleyn Girl. I’ve note read any of her books but I’ve been wanting to! Does that count? I cannot wait to read this book! I’m been fortunate to have already won a copy (from A Girl Walks Into a Bookstore), but I’ll post your giveaway on my sidebar along with other WHITE QUEEN giveaways. My favorite PG book to date is definitely The Other Boleyn girl. Heck, she brought me into historical fiction, now my favorite genre, with that book! I feel that she’s fallen off recently, but I hear that this one is much better, back to some former standards. i have wanted to read PG’s books but every time i go to the library, they are all checked out! i really must put them on my hold list. i posted about this novel a few days back–in a ‘coming attractions’ post about what books are on tap for release. commentors seemed interested in this one–and i’d love to give it a whirl. thanks for hosting! My favorite Philippa book is The Virgin’s Lover – but I pretty much love them all! I would really, really enjoy ‘The White Queen’ Please enter me in your giveaway! This looks like an AWESOME book! I’ve only read The Other Boleyn Girl and loved it!! Pick me!! The Other Boleyn Girl was my favourite and I’d love to be in the running for this one. It is a toss up between The Other Boleyn Girl and The Virgin Queen. I would love to win the first book in the “Cousins’ War,” trilogy!! 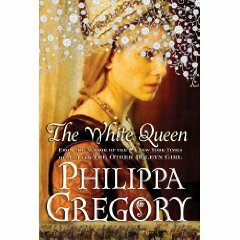 I have never read any of Philippa Gregory’s books, but The White Queen sounds wonderful. Please enter me in the giveaway. Thank you. Great info.. very useful thanks! Reading your review had me saying outloud “Yes!” because I literally JUST finished this book this AM and I felt that other than the first bit of Elizabeth and Edward falling in love, the rest of the book was mostly a “talking heads” book, and you described it perfectly that it read likea non-fiction book instead of the riveting novel that Gregory is so adept at writing.